Here are more than fifty styles and their variants, spanning seven distinct historical periods. Each style is illustrated with a large schematic drawing that highlights its most important identifying features. Additional drawings and photographs provide, at a glance, common alternative shapes, principal subtypes, and close-up views of typical small details—windows, doors, cornices, etc.—that can be difficult to see in full-house illustrations. The accompanying text explains the identifying features of each style, describing where and in what quantity they can be found, discussing all of its notable variants, and tracing their origin and history. 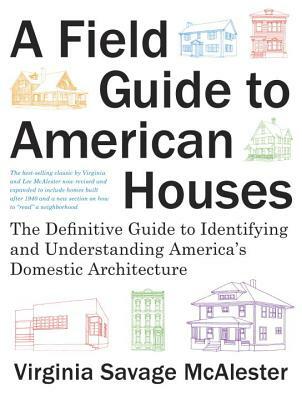 The book's introductory chapters provide invaluable general discussions of construction materials and techniques, house shapes, and the various traditions of architectural fashion that have influenced American house design through the past three centuries. A pictorial key and glossary simplifies identification, connecting easily recognized architectural features—the presence of a tile roof, for example—to the styles in which that feature is likely to be found. Among the new material included in this edition are chapters on styles that have emerged in the thirty years since the previous edition; a groundbreaking chapter on the development and evolution of American neighborhoods; an appendix on approaches to construction in the twentieth and twenty-first centuries; an expanded bibliography; and 600 new photographs and line drawings throughout. Here is an indispensable resource—both easy and pleasurable to use—for the house lover and the curious tourist, for the house buyer and the weekend stroller, for neighborhood preservation groups, architecture buffs, and everyone who wants to know more about their own homes and communities. It is an invaluable book of American architecture, culture, and history. Virginia Savage McAlester is a lifelong advocate of historical preservation with deep professional interests in architecture. She has an undergraduate degree from Harvard University, where she attended Radcliffe College and completed the first-year curriculum of the Harvard Graduate School of Design. She is a founding member and past president of Preservation Dallas, and serves as an advisor emeritus for the National Trust for Historic Preservation. She is author of The Making of a Historic District: Swiss Avenue, Dallas, Texas and coauthor of The Homes of the Park Cities, Dallas: Great American Suburbs. She lives in Dallas, Texas, where she is an honorary member of the state and local chapters of the American Institute of Architects (AIA).